January month was very busy to me :). I received the custom order from coffee shop in Dubai where I made 100 tumblers for coffee drinkers. 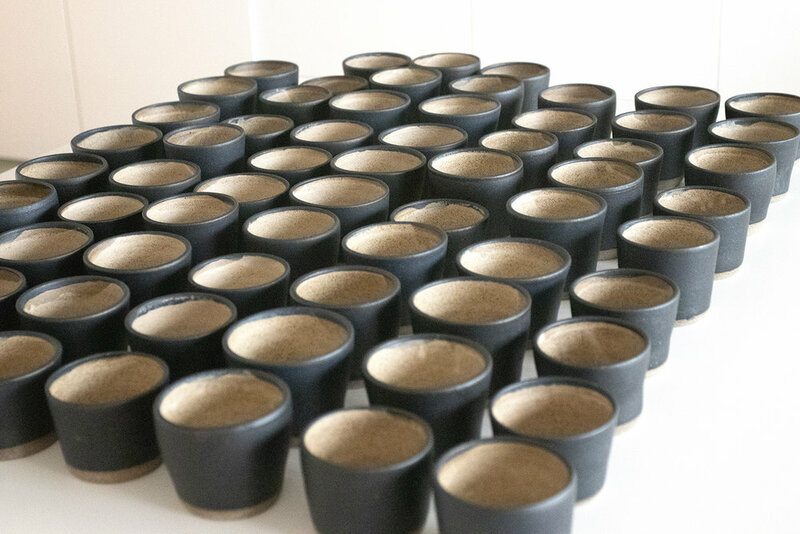 50 tumblers were ivory-creme ones that fit very well to caffe latte drinkers and 50 black ones, that are very rustic and organic. 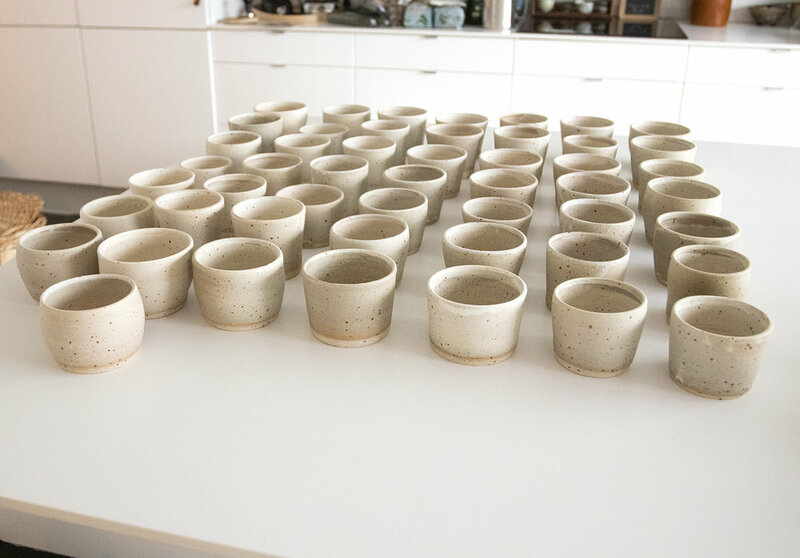 It is different to work with a larger order wheel thrown cups then just a set or 4 pieces. It will challenge You a big time :). Thank You very much Ayecha!